June 29, 2016 6:00 UTC – FASTER, a consortium of six international companies, together with its supplier NEC Corporation, today announced that construction and end-to-end testing of a new trans-Pacific submarine cable system, the "FASTER Cable System," has been successfully completed and will start service on June 30, 2016. 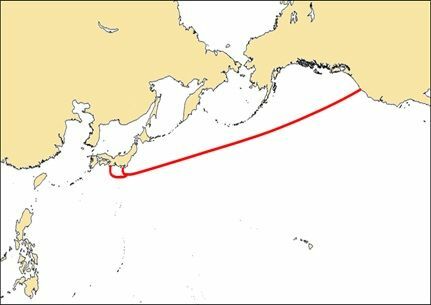 The 9,000km trans-Pacific cable, the FASTER Cable System, lands in Oregon in the United States and two landing points in Japan, namely Chiba and Mie prefectures. The system has extended connections to major hubs on the West Coast of the U.S. covering Los Angeles, the San Francisco Bay Area, Portland and Seattle. The two landing points in Japan facilitate the cable's easy access to major cities in Japan. FASTER's robust and resilient connectivity to many neighboring cable systems extends the cable's capacity beyond Japan to other Asian locations. "From the very beginning of the project, we repeatedly said to each other, ‘faster, Faster and FASTER,' and at one point it became the project name, and today it becomes a reality. This is the outcome of six members' collaborative contribution and expertise together with NEC's support," said Hiromitsu Todokoro, Chairman of the FASTER Management Committee. 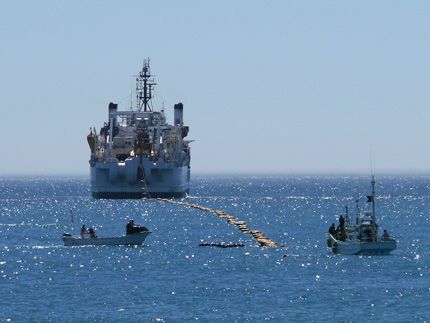 "This was the first trans-Pacific submarine cable built solely by NEC Corporation, employing the latest 100Gbps digital coherent optical transmission technology. We are honored that the consortium entrusted us to build FASTER. Although we faced many challenges during the construction, I am truly glad that we were able to overcome these and to welcome this day," said Kenichi Yoneyama, Project Manager for FASTER at NEC's Submarine Network Division. "This epoch-making cable will not only bring benefits to the United States and Japan, but to the entire Asia-Pacific region." China Mobile International Limited (CMI) is a wholly owned subsidiary of the China Mobile Group. The company is responsible for the operation of China Mobile’s international business. Leveraging the strong support by China Mobile, CMI provides a full range of comprehensive international telecommunications services which includes IDD, roaming, data, MNC solutions and Value Added Services across the globe. CMI aims to bring customers with seamless, carefree, borderless digital life. China Telecom Global Limited (CTG) is a wholly owned subsidiary of China Telecom Corporation Limited to manage its international business. Headquartered in Hong Kong, CTG’s global network platform spans Asia, Americas and the Europe, Middle East, Africa (EMEA) region, offering world-class integrated communication services to multinational businesses, telecommunication service providers and overseas Chinese consumers around the world. Our comprehensive communication and ICT solutions deliver industry-leading resilience, speed, and diversity to meet the high level requirements from our customers and partners. China Telecom’s international operation has presences in 31 countries and regions around the world. Global Transit (GTL) connects Asia to the rest of the world through its award-winning international bandwidth solutions. A 100% subsidiary of Malaysia-based TIME dotCom, GTL provides customers with unrivalled land and sea fibre connectivity that spans Asia, Europe and the United States. From holding major points-of-presence in key cities in Asia, Europe and the U.S. to owning stakes in several subsea cable systems like Unity and the Asia Pacific Gateway, GTL is well positioned to serve regional carriers, mobile operators and Internet Service Providers.